Will a Liberal MP resist cuts to renewable energy jobs and investment? This article was originally posted at the Climate Spectator. View the original post here. Could last week’s backdown on the Racial Discrimination Act offer a glimpse of what lies in store for the government’s plans to take the ideological axe to another publicly popular program, the Renewable Energy Target? Like the RET, the Racial Discrimination Act was created with bipartisan support, was popular and had operated successfully for over 10 years. Anger at the ideological changes to the RDA bubbled up from the local level, such as in the multicultural Sydney electorate of Reid where Liberal MP Craig Laundy championed his constituents’ concerns. He argued strongly and publicly that his own government was on the wrong track and that the changes to were wrong. Laundy’s stand was vindicated when the changes were ultimately overwhelmed by the tide of public protest they provoked. A similar passion, but this time over renewable energy, was felt last week by Dan Tehan, Liberal MP for Wannon in south-western Victoria. On Thursday, more than 100 people from the long-time conservative electorate crowded into the small Crowlands Hall, 30km north of Ararat. Among a spread of sandwiches and biscuits, they let Tehan know in no uncertain terms that they supported wind farms and wanted to see them built in their region – and that meant sticking with a strong RET. There is arguably no electorate in the country with more to lose from cuts to the RET. There are currently eight permitted projects worth a whopping $2.75 billion in Wannon that can’t move forward until certainty around the RET is restored. A further batch of advanced projects totaling well over $1 billion would mean that if the RET were retained at its current 41 gigawatt-hour by 2020 level, Wannon alone could account for a quarter of the new $14.5 billion of investment the Clean Energy Council estimates will follow. As a backbencher in a government showing every sign of pursuing ideological cuts to renewable energy, Dan Tehan is in a trickier position than most. Should the so-called ‘real 20 per cent’ RET cuts go ahead, at least 50 per cent of those projects in his electorate would not proceed, which would amount to removing something in the order of $2 billion of investment from his electorate over the next five years. Hardly the stuff of electoral popularity. On the local front, two wind farms – Crowlands and Ararat, worth $680 million together – have been delayed for years and the locals are wanting some answers as to whether their local MP is standing up for them or not. The event was organised by the Highlanders, a group of farmers who live in and next to the Crowlands Wind Farm project, together with the Australian Wind Alliance, a community-based advocacy group of wind supporters across the country. A variety of community voices spoke to the meeting. Some were speaking publicly on the issue for the first time. Cheryl Shea, a sheep farmer, spoke movingly about the importance of dependable income from hosting wind turbines; income that didn’t fluctuate with the weather. It provided the sort of financial security that would allow her and her husband to pass on a viable farming business to their son. Bernard Boatman, a neighbouring farmer to the Crowlands Wind Farm, who wouldn’t be hosting turbines himself, talked about the changes in the seasons he’d noticed over the last 20 years and the diminishing rainfall in the area. Seeing a project go ahead in his district that would tackle the causes of climate change felt right to him. Not so unaccustomed to public speaking were the mayors of the three local councils – councillors Robert Vance, of Pyrenees Shire Council, Paul Hooper, of Ararat Rural City Council, and Kevin Erwin, of Northern Grampians Shire Council. 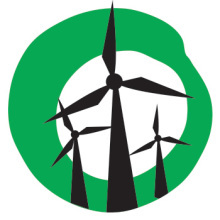 Together they have lobbied strongly for their shires and they laid out for the meeting what was at stake for them – four proposed wind farms totaling $1.68 billion of capital investments and a $100 million injection into the local economy during construction. Furthermore, $1.5 million would go every year to host landholders, who were often located on marginal agricultural land, and $1.3 million in income from rates. Jobs-wise, the development of wind farms will involve 900 construction jobs and 60 direct and 74 indirect ongoing jobs during the operation of the wind farms over a period of 25 years. Then there’s $300,000 a year in community grants and investment and construction opportunities over 25 years delivering in excess of an additional $400 million. So, it’s no small beer. Tehan’s response disappointed many in the crowd. While acknowledging that the RET was a cut-through issue in his electorate, there were many factors to consider, he said. They included pleas from the aluminium industry that its current 90 per cent exemption from their RET obligations was not sufficient (and he would prefer to grant them a 100 per cent exemption). He said that he would be waiting for the findings of the current RET Review before making a decision. His equivocal response is a marked contrast to his neighbouring Liberal MP in Corangamite, Sarah Henderson, who came out strongly in favour of the Renewable Energy Target as a mechanism for driving employment and prosperity in her region. While Laundy and Henderson have undoubtedly shored up support among their local voters for their public advocacy, Tehan’s lukewarm response to the meeting will leave many constituents wondering whether he’s really on their side or not. Andrew Bray is the national co-ordinator of the Australian Wind Alliance. The powerful voices of this community may well be ignored. Because someone is whispering in the governments other ear I think. I don’t know what is being said behind those closed doors. Who is working against the will of the people? Who are these shadowy figures? What interests are they protecting? Why are politicians lining up against their constituents? A meeting of 100 fringe dwellers in support of wind farms!!!!!!! !.That would have shown him the will of the people.What Blair Donaldson and a few of his mates if he has any. [There is no other community with more to lose if the RET is cut] And they could only get 100 people to the meeting is that for real. Fringe views please Blair Donaldson!!!!!!!!!!!!!!!!!!!!!!!!!!!!!!! !